Ok I must admit I’m kind of obsessed with Pinterest. This past year I got a lot of inspiration from the website along with Etsy on doing DIY projects and just being crafty(Arts and Crafts was my fav back in my summer camp days). Crafting is a great thing to do if you are bored or just need a rainy day project. My daughter is also into doing crafty things so I try to get her involved when I can. My first project that I have to share has to be my wine craft. I like my wine …red..white..whatever I don’t discriminate. I had tons of wine bottles and corks going to no good use. My friend Gracie was visiting me from Atlanta and she said why don’t you save the corks and put them in a vase(DUH why didn’t I think of that ? 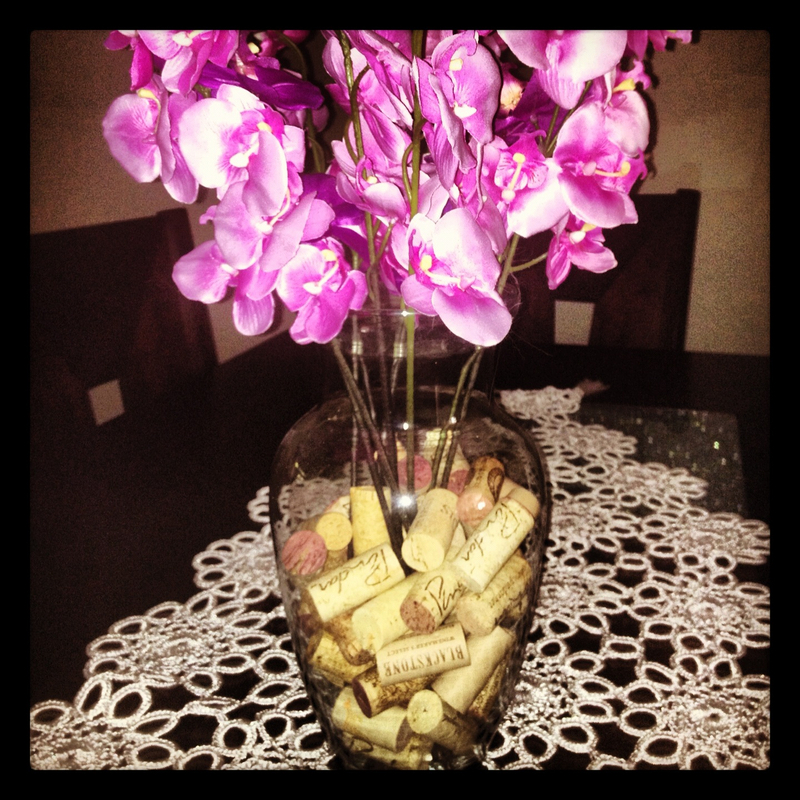 So the easiest thing is to just get a cute vase ( I have tons from hubby sending me flowers along with a vase) and every time you finish off a bottle of vino you just throw the cork in the vase until its semi full throw in some faux flowers and VOILA you have a wine craft..super easy and cute. I get so many compliments on it but now people are aware of how much alcohol I consume. It’s the laziest craft ever and requires no effort really. 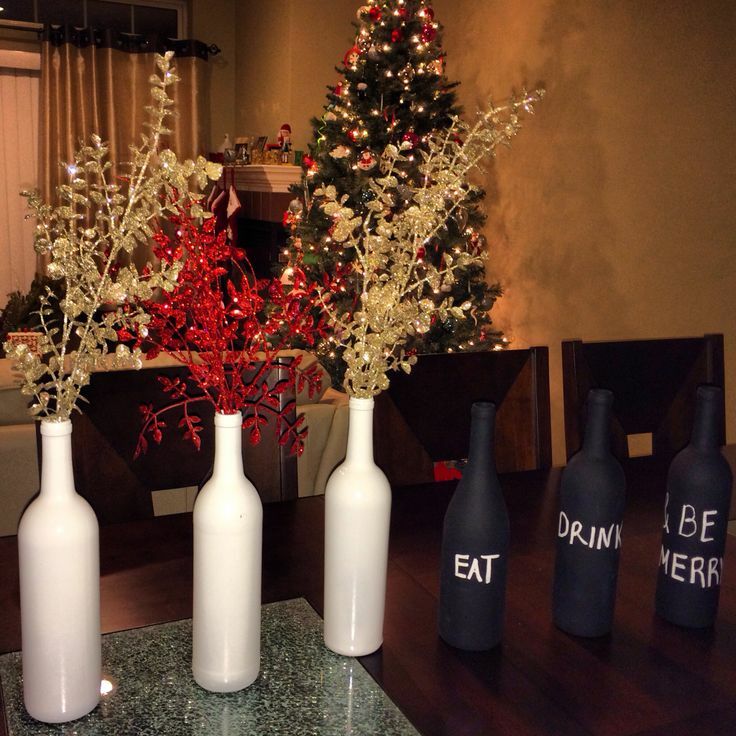 Now with the wine bottles you can spray paint them any color your heart desires. I sprayed mine white, very basic. 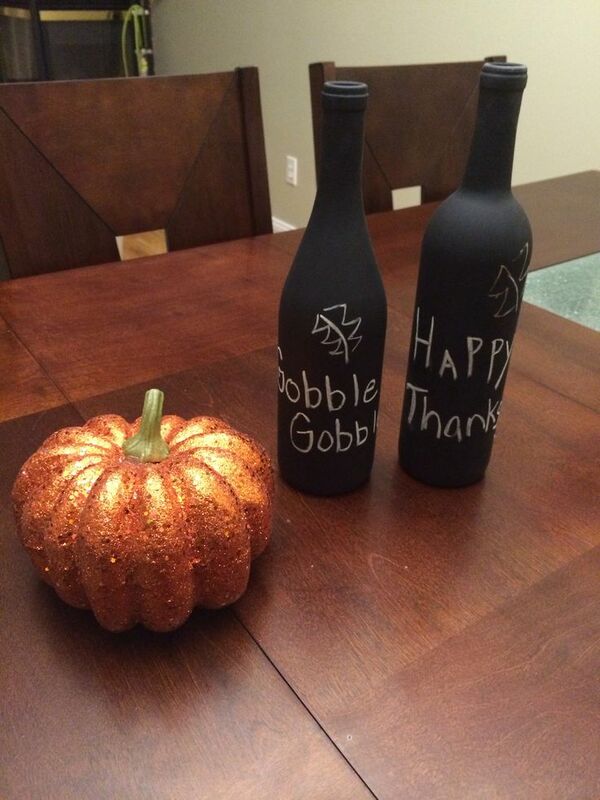 I also purchased chalkboard spray paint and I used that on a few bottles. I write on the bottles (using chalk or chalk markers) cute sayings depending on the holiday (EX: Christmas= Eat, Drink, and Be Merry). You can throw in some faux flowers or just leave them empty depending on what kind of look your going for.